To schedule an appointment with one of our doctors, please call our Parsons location during scheduled office hours. 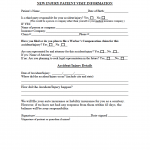 • New Patient Information Forms: Please complete these forms prior to your visit. You may download these forms from our website or ask us to send them to you. • Medications list: Please have a list of all of your current medications. • Medical records and Diagnostic studies: Please bring any records or recent diagnostic studies such as lab tests, X-rays, CT Scans, or MRI’s that are pertinent to your medical problem for our doctors to review. Bring not only the reports, but also the pictures or images as our doctors will want to look at these with you. We prefer you hand carry these items yourself as this tends to insure that they are here when you are here to be seen. • Insurance cards and Photo identification: If you are covered by medical insurance, then we will need a copy of your cards along with a copy of photo identification. It is up to the patient to verify that we are a participating provider with their insurance plan. • Work Comp: If this is work related, then we must have written authorization from your Workers’ Compensation insurance company before your appointment. Please notify our receptionist at check in. • Copay: If your insurance plan requires a copay, then you will be expected to pay at the time of service. We accept cash, personal check, Visa, and Mastercard. Failure to pay may require your visit to be rescheduled. • Uninsured patients: If you do not have a valid insurance plan to cover the cost of our services, you will be required to make payment in full at the time of service. Failure of payment may result in your visit being rescheduled. 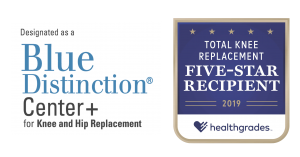 • Referral: If your insurance requires a referral from your primary care physician, please contact your physician to insure all necessary forms are completed. • Minor patients: If you are under 18 years of age, a parent/guardian will need to accompany you. • Questions: For additional information on your first appointment, please see our website questions page. • New Injury Patient Visit Information Form: If you have had a new injury since you were last seen, then you will need to complete our new injury patient visit information form. 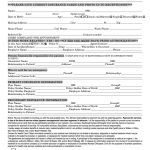 You may download this form from our website or ask us to send it to you. • Medications list: A current list of your medications. • Health information: Any new or recent changes in your health. • Questions: A written list of your questions for the doctor.